"Guest Starring Eve Arden, Jack Benny, and Groucho Marx"
Known for his television show and The Tonight Show, Steve Allen got his start as a replacement for Our Miss Brooks during the summers of 1950 through 1953. On his program, he often had such famous showmen and woman as Eve Arden, Jack Benny, Groucho Marx, Lina Romay, and Al Jolson. 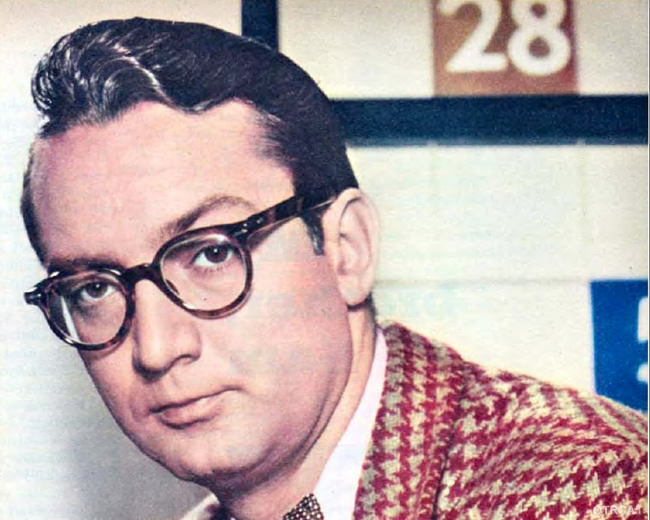 After becoming a hit radio man, he began his own Steve Allen Show on television on Christmas Day, 1950. His television program became so popular, it started airing opposite The Ed Sullivan Show. So perk up your ear and get your jaw ready to laugh at the early Steve Allen. I always loved Steve Allen! So creative! I loved his television show with the "Man on the Street"...Tom Poston, Louis Nye, Don Knotts...! I especially liked his portrayal of Benny Goodman in "The Benny Goodman Story" with Donna Reed. One of my heroes. That man could adlib like nobody else. His popularity on radio is what got him his TV break. I've heard some of his radio shows, where he chats with the audience, and they are downright brilliant. Well, Allen was big on television,so I guess that it is OK to draw certain conclusions. I'm doing it, OK or not! !